This is a piece I have wanted to write for the last 20 years. This is also one of the most difficult pieces I have ever had to write. 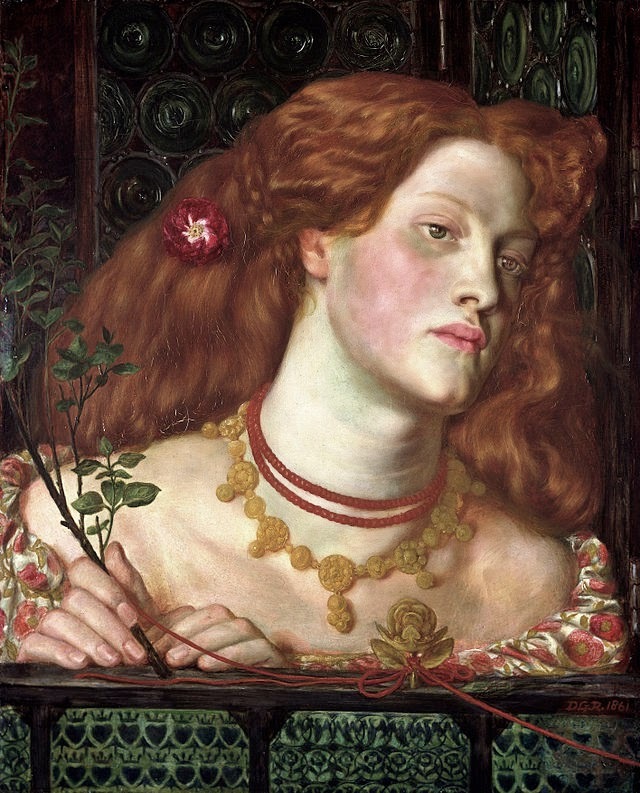 This is where I tell you about how Fanny Cornforth died. 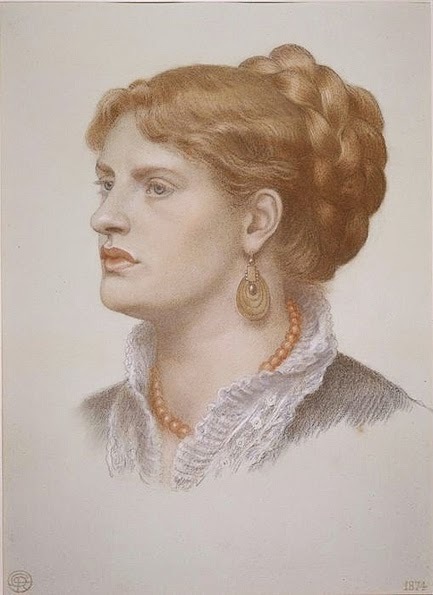 If you will remember from past posts and from Stunner: The Fall and Rise of Fanny Cornforth, Fanny lived in Hammersmith in London, corresponding with Samuel Bancroft jnr at the turn of the last century. She is listed in the 1901 census as living in Kilmarsh Road as a lodger. Her letters to Bancroft the American art collector are filled with complaints about the treatment she received at the hands of her sister-in-law, Rosa Villiers, who allowed her little money, despite the family being wealthy. Then in 1905, all of a sudden, she vanished. Bancroft was left puzzled and the only news he received when he attempted to find Fanny was that she had become difficult and Rosa had swooped in and taken her off, presumably to live with her in Hove, on the south coast of England. Sadly, that was not exactly the case. Rosa had removed Fanny to the south coast, but placed her in the care of the Workhouse in West Sussex, where she was cared for in a small town outside Chichester. 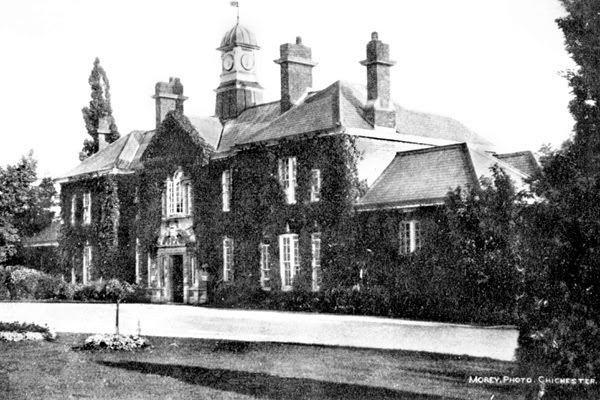 Then she became too much for her landlady Ann Humphrey to deal with so she was taken to Graylingwell Asylum. Graylingwell was formerly a farm and the home of Black Beauty author Anna Sewell. It was redesigned and built to be an asylum, opening its doors in 1897, just outside of the town of Chichester in West Sussex. 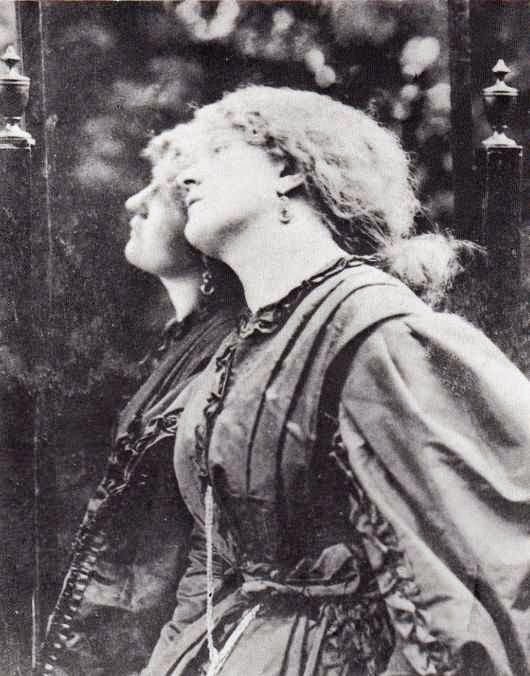 At the time of her admission on 30 March 1907, Fanny (now properly referred to as Sarah Schott/Hughes) was recorded as 5'3" and weighing almost 12 stone. She was described as stout and physically well, her hair brown-grey, her eyes green-grey, with upper and lower dentures. She was very deaf. Her landlady blamed her mental state on the fact that she had been taken to a workhouse 'against her will' (presumably by Rosa) which had rightly distressed her. It is mentioned that she had a bad temper. Her first examination listed senile mania, confusion, weak-mindedness, unable to sustain a rational conversation, without memory and sleepless. She maintained her health in the following few months of examination, despite her mental health being impaired, and was garrulous but incoherant and very excitable. The asylum was told that Fanny had been strange in her manner for some time and behaved violently towards her landlady who she perceived as a threat, calling the police against her. She passed the summer peacefully, causing very little trouble, but suffered a fall which broke her arm in September 1907. That began a downturn in her mental and physical health. The fall and subsequent medical assistance distressed her and made her violent. She refused treatment, ripping the bandages from her injured arm and causing hemorrhage and severe bruising. The wrist mended, but remained deformed. Fanny's general health deteriorated and she became confused. She is listed in 1908 as having senile dementia and the nurses that were required to care for her failing health received spiteful treatment from their patient. In September 1908, Fanny contracted bronchitis severely. It lingered, rendering her weak, both mentally and physically but it was noted that even then she remained obstinate, her bloody-minded spirit surviving despite the trials she suffered. By February 1909 she was confined to her bed, needing constant nursing. Pneumonia developed in her battered lungs and she died on February 24th 1909. She was buried in the grounds of Graylingwell Asylum. She was 74 years old. There is a final, heartbreaking piece of this story I am not able to bring you today. Attached to her record from Graylingwell Asylum was a photograph of Fanny Cornforth aged 71 years old. She was wearing a black dress with a lace collar, slightly askew and she looks both terrified and belligerent. In many ways it is better that we remember her in her glory than like that as I cried like a baby when I saw it. I hope to be able to reproduce it in the near future, but much like the image of Jane Morris in old age, it is a bitter sweet photograph. Better perhaps to remember her in happier times, in the garden of Tudor House. Many, many thanks are due to Lynda Denyer from Steyning Museum for the tip off and invaluable help, to Karen Kivlehan for spotting the newly published lunacy record on Ancestry and setting us on this path of sad discovery and to the kind staff at the West Sussex Records Office for their help and the tissues. What a story! And I suppose because we think of her in her glory days, we forget she was very much an ordinary woman of her times and reduced by gender, lack of money, and power, and ended up in an asylum. No fiction could have been told better than your story from beginning to end. Thanks Melinda. I shall be opening a bottle of wine tonight and drinking to the memory of a truly unique and inspirational woman who has been part of my life for 20 years. I can only hope I am as belligerent as her when I am 70. There are no words here. Mental health treatment was not much better at the turn of the 20th century than at the turn of the 19th. Anyone the least bit "off," sick without obvious symptoms or just inconvenient ended up in an asylum - and God help you if you were a woman, of course. But the robust Fanny will always be the one remembered, much because of your work, Kristy! Thank you. I started reading other entries in the death register and ended up really miserable. God help you if you were a difficult woman. The average lifespan in the asylum was usually short, which in itself was terrifying. A thought-filled day if ever there was one. Thanks LeeAnn. I think she'd be delighted at how much this means to people now. I have never had so much mail! Fanny is such a touchstone for people, she truly is the patron saint of the overlooked woman. Having read 'Stunner' and enjoyed it so much, I was intrigued about the end of Fanny's life. In a way, it would have been better to think of her dying peacefully somewhere, but thank you for bringing us the sad end of her story. As you say, her story is no different from hundreds of others who suffered the same fate and this went on well past the Victorian era. Here's to the indomitable spirit she showed and to you too as her champion, for keeping her real story alive. John Bernard Schott died in the 1890s, as did her step-son Fred. The other step-son went to South Africa. The money she had only went so far and Schott's sister did not seem too happy about supporting Fanny in her old age. The money ran out and she was too difficult for people who did not feel any familial attachment to put up with. In the end there was no-one left who would put up with her. I am considering my options but will definitely be looking to produce a new book next year, rather than a new edition of Stunner. More details to come! What a great piece of detective work - she appears in the Free BMD as Sarah Hughes, 1909 death quarter, aged 71,Chichester - so it was there all the time. Incidentally Ancestry has some information on Alexa Wilding and her 2 Shelley children with a family tree. Her elder child, Maria, died aged about 10, and is buried with Alexa,stated as her niece on the gravestone. Thank you so much for this incredibly moving story. 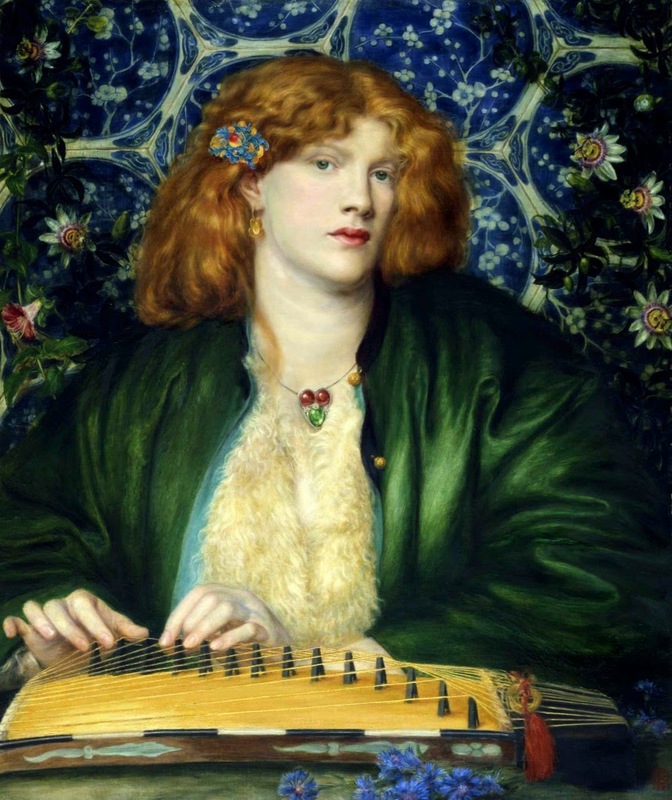 I'm ashamed of myself, because although I'm a huge fan of the Pre-Raphaelites, I didn't know about Fanny Cornforth, although I've seen her image so many times. Forgive me for bringing up a question that has probably been asked countless times, but is she an inspiration for the character of "Sarah" in "The French Lieutenant's Woman"? Also, I want to add, I simply MUST read "Stunner" now! Thanks again for this beautifully-written post!